Q : Who are we? A : Famous Traveller International Co., Ltd.
Q : What is the procedure with Bus ticketing system? A : As soon as we received the booking along with full payment, we will go ahead and book the seat. We will send out Initial sms to acknowkedge within 48 hours of receiving your booking. Due to the seat assign policy with Bus companies, we can only send complete SMS-ticket along with seat number 7 days before the travel date at earliest. Q : How soon will I get seat number? A : Due to the strict seat assignment policy of Famous Traveller International Co., Ltd we can only provide the seat number 7days before the travel date as earliest. Q : How do I know / trace my ticket status? A : You can always see the booking status and download the E-ticket when it is ready. All you have to do is type in the Ticket/ Reference Number in the Track ticket status field on top right corner of every page on our website. Q : Why haven't I received my initial SMS with ticket information immediately after making the payment? A : Due to the fact that we review all bookings before precessing further, it might takes sometime but no more than 48 hours. Q : What is the office opening hours? A : Monday to Friday 9:30AM to 4:30PM. Q : The Travel date is very close. What if I still haven't got the Complete E-ticket yet? A : You should receive your complete E-ticket 7 days before your travel date.  Alternatively, you can download / track your e-ticket with ticket reference number on Home Page of our website (www.famoustravellerinternational.com). You can also call us on 09762357897, 09783680002~3 within office hours. Q : How are the payment process. Is it secure? A : We do accept either Visa/Master and MPU card payment, bank transfer or deposit to our Famous Traveller International Co., Ltd. registered account methods. Q : Why can't I book for tomorrow and the day after tomorrow? A : Our system only allow the booking that are 2days in advance to Travel date so that it will give us sometime to review and operate before we actually issue the Complete ticket to our customer. Q : What is the different between VIP 2+1 seat and Normal 2+2 seat? * They have three seats per row. * Vehicle is Scania Touring. in the form of screens; USB ports. * They have four seats per row. * Vehicle is Scania Marcopolo. TVs on all of the normal Express Bus. Q : What do I need to bring to Bus station to take bus? A : You just need to provide our complete SMS or E-ticket at the Bus gate along with your NRC/Passport no: to verify that you are the right passenger. Moreover, passengers are suggested to bring along their NRC/Passport when they travel at all time. Q : Can I cancel or refund or amend my booking? A : The following cancellation and refund policy apply if you have purchased your booking with USD currency rate via our foreign account or payment gateway such as Paypal or 2C2P. date. Famous will not charge you for the cancellation. However, you are liable to pay for transaction fees for the refund amount that the Payment Gateway charge. - Any credit or refund will be made to you either in Famous Credit or original form of payment. All refunds will be in currency in which you orginally paid for the booking. - Amendment can be made within 3 calender days from the date of purchase providing the amendment request is made 2 working prior to your travel date. There will be no amendment fees. Q : What is Baggage Policy? A : We may allowance that a carry-on one travel baggage item and One item of hand baggage. We will charge additional baggage cost USD2$/MMK 2000 Ks per item. Q : How to reach the Aung Mingalar Bus station from the Yangon International Airport? A : Just 40 minutes from airport to bus station. Traffic in Yangon is always very busy and taking bus is no good option. Better take a taxi to bus station. Q : Which bank can I pay-in the deposit money?